This recipe works best with a spring form pan. Pans come in different sizes such as 9, 10 & 11 inch. Any pan will do but cooking times need to be slightly adjusted. You can spray the pan with vegetable oil or lightly brush with oil and dust with a little flour. This will keep cake from sticking to the pan. 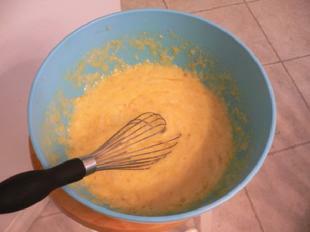 Place a medium size hand strainer over a mixing bowl. Gather, measure and place all dry ingredients, minus walnuts, into the strainer. Use a spoon to rub ingredients through the strainer. This will sift and mix them at the same time. Add walnuts to dry ingredients and toss together. 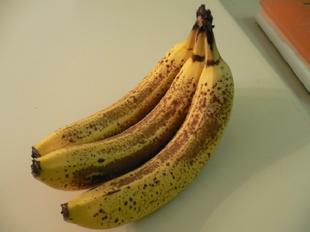 Bananas need to be very ripe. Peel bananas and place into a mixing bowl. 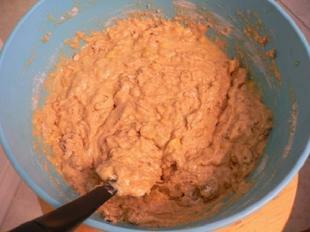 Use a whisk to mash bananas into small pieces. Add eggs; Beat eggs and bananas together. 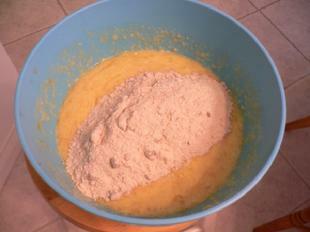 Add remaining wet ingredients to the bowl and mix together. Pour dry ingredients over wet ingredients. 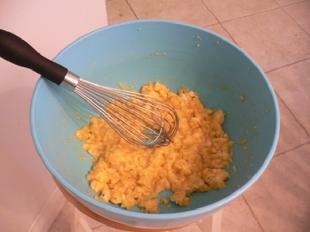 Use a rubber spatula to mix and fold ingredients together. Be sure to scrape the sides and bottom of the bowl with every fold. Pour and scrape batter into oiled spring form pan. 10 inch pan for 65 minutes. 11 inch pan for 60 minutes. 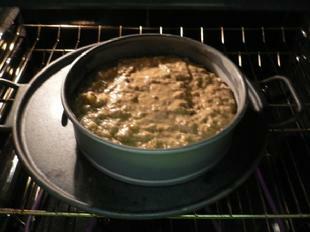 Remove pan from oven and let cake cool for one hour, if you can, before slicing. 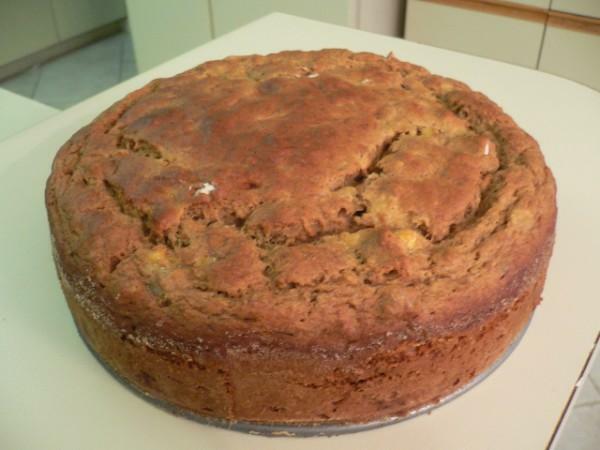 Wrap leftover cake and keep in the freezer. Frozen cake warms up nicely in the microwave.